1. Complete the sentences with the past simple of the verbs. a) We __________ (eat) fish at a restaurant last night. b) I __________ (go) to Spain on holiday last summer. c) She ___________ (buy) a new suit for work at the weekend. d) I _________ (have) a bicycle when I was a child. e) They _________ (do) their homework last night. f) We __________ (swim) in the pool in the park on Sunday. g) You _________ (take) a taxi to the station last week. h) She ___________ (make) lunch for us yesterday. i) He ____________ (get) up late this morning. j) I _________ (sit) in the sun all afternoon. k) We _________ (give) her a camera for her birthday. l) They __________ (see) some horses on the beach this morning. 2. Complete the conversation with the past simple of the verbs: buy, do, eat, get up, go have, sit, swim, take. А: How was your holiday? В: Great! We ________ late every day and _________ in the hotel pool before breakfast. А: How was the food at the hotel? В: Not bad, but we usually ___________ in one of the local restaurants. We _________ some delicious fish dishes. А: So, were you near the coast? В: Yes, we were. We _________ the hotel bus down to the sea and _________ on the beach in the afternoon. А: Were there many places to visit? В: Mark ___________ sightseeing but I wasn't interested. I ___________ some shopping on the last day. Look! I ___________ this beautiful bracelet at a local market. 3. 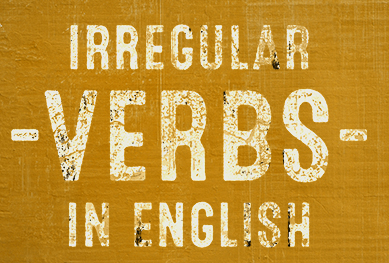 Regular or irregular verbs? Correct the mistakes. a) We ate fish at a restaurant last night. b) I went to Spain on holiday last summer. c) She bought a new suit for work at the weekend. d) I had a bicycle when I was a child. e) They did their homework last night. f) We swam in the pool in the park on Sunday. g) You took a taxi to the station last week. h) She made lunch for us yesterday. i) He got up late this morning. j) I sat in the sun all afternoon. k) We gave her a camera for her birthday. l) They saw some horses on the beach this morning. В: Great! We got up late every day and swam in the hotel pool before breakfast. В: Not bad, but we usually ate in one of the local restaurants. We had some delicious fish dishes. В: Yes, we were. We took the hotel bus down to the sea and sat on the beach in the afternoon. В: Mark went sightseeing but I wasn't interested. I did some shopping on the last day. Look! I bought this beautiful bracelet at a local market.